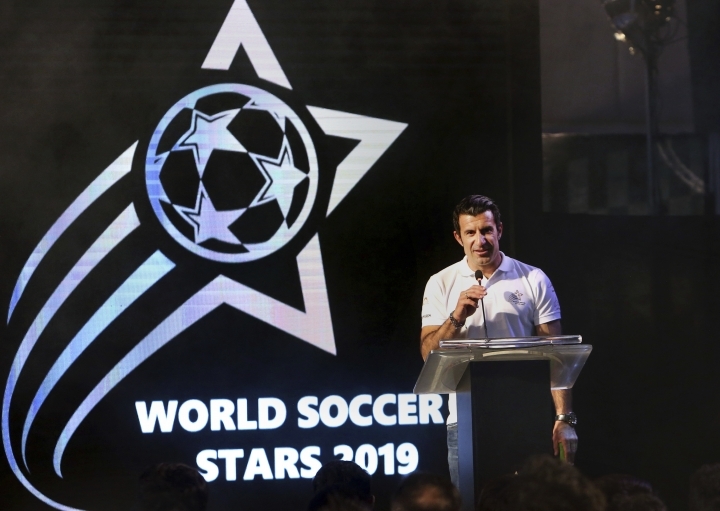 ISLAMABAD — Soccer greats Luis Figo and Kaka arrived in Pakistan on Thursday to launch the World Soccer Stars event in a country more known for its cricket. A private England-based group, Touchsky Group, will organize the event in late April in Karachi and Lahore with an aim toward portraying a softer image of Pakistan around the world. 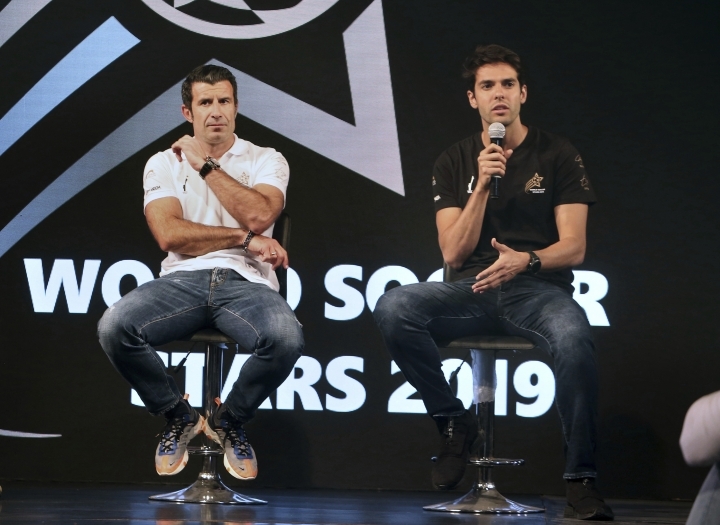 Figo, who like Kaka was visiting Pakistan for the first time, said the duo will bring with them 10 soccer greats for the event. In a similar venture, another private group organized exhibition matches in 2017 and brought in many international stars like Ryan Giggs and Ronaldinho. Pakistan, a country of more than 220 million people, is ranked No. 199 by FIFA. But soccer is gaining popularity, especially among the youngsters in big cities like Karachi, Lahore and Islamabad. 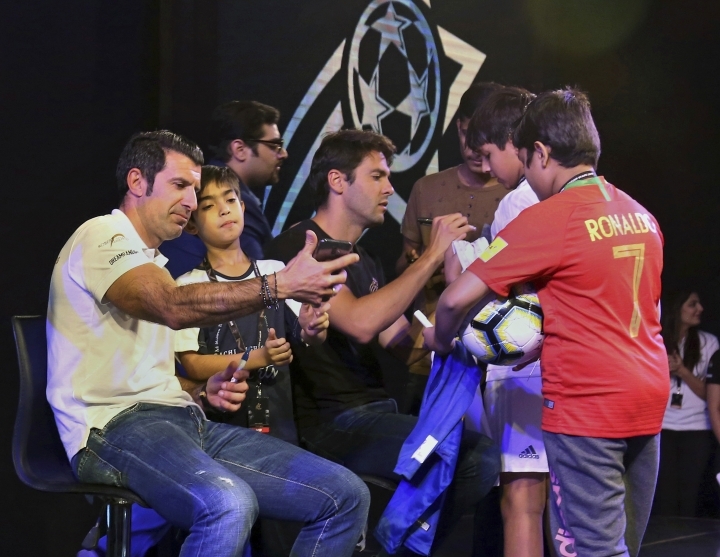 "We are here to launch this event ... and this is the opportunity to open some football schools here in the country to help the kids and football in general," said Figo, who walked into the news conference with a cricket bat in his hand. 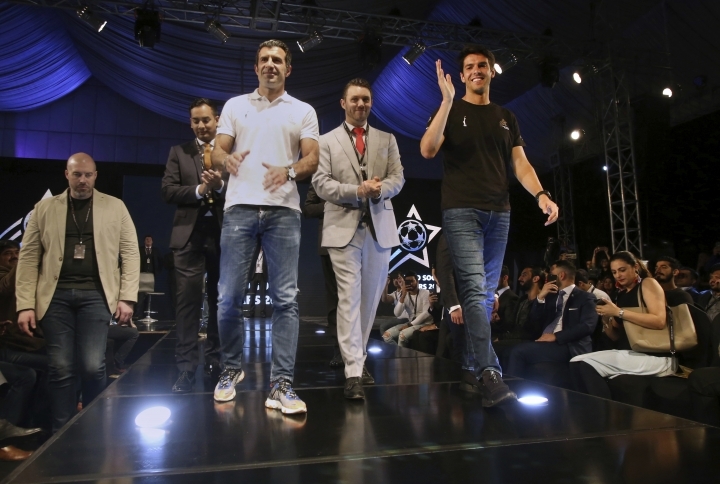 Figo said that with hard work, youngsters in Pakistan have an opportunity to excel in soccer. "(It's) difficult to give advice but most important for youngsters is to follow your dreams and try to work harder to achieve you goals. If you work hard with dedication and devotion it's much easy to achieve what you want," said the former Portugal captain, who also played for Real Madrid. Kaka echoed Figo's sentiments and advised youngsters to create opportunities. 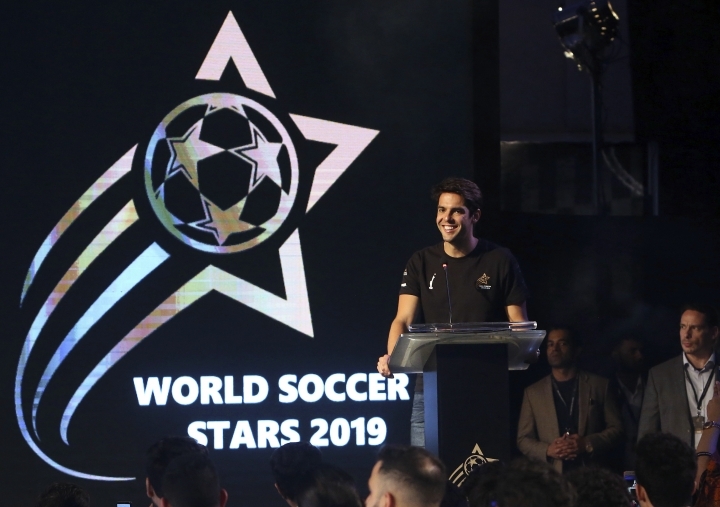 "A little piece of the advice for these guys, if they really dream to play football, run after your dream, create your opportunity and probably you increase your chance to get a success," Kaka said.